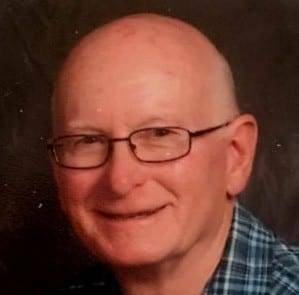 John H. Tester, age 72, of Bronson, Michigan and formerly of Wauseon, Ohio, passed away on Thursday, September 13, 2018, at his residence. John was born on March 29, 1946 in Toledo, Ohio to the late Paul and Dorothy (Heyman) Tester. He graduated from Wauseon High School in 1964 and entered the United States Navy, serving from December 7, 1965 until December 12, 1968. While in the Navy, he served in Vietnam from August of 1966 until March 1968, and then on the USS Delta AR-9 on the West Coast until his discharge. In Vietnam, he was at Camp Tien Sha in Danang. He volunteered for duty on the LCU-1499, which delivered ammo and supplies from Danang to Hue and Dong Ha. John’s boat and others were the water route to get supplies up the Perfume River at Hue and Cau Viet River to Dong Ha. These boats helped break the siege in Hue during the Tet Offense in early 1968 and fire bases below the DM2 in I-Corp.
John escorted Terry Lynn Meyer home in 1968, after Terry lost his life while serving in Vietnam. On November 27, 1969, he married Martha Miller, and she survives. John worked for Koncor for over 40 years in quality control. He was involved in the Elks. Jaycees, VFW, American Legion, Vietnam Veterans of America, St. Mary’s of the Assumption, St. Caspar’s, The United Way, and the Gilead Lake Association. John enjoyed hunting, fishing, arrowhead walks, travelling in America, winters in Florida, and his kid’s and grandkid’s sports and school events. Surviving besides his wife, Martha, are sons, Patrick J. Tester, Michael P. (Patricia) Tester, Matthew J. (Heather) Tester, Mark A. (Jennifer) Tester, James I. (Melanie) Clark, and Shaun P. (Leah) Clark; grandchildren, Noah, Logan, Jonas, Luke, Levi, Addison, Johanna, Tyler, Paige, Lincoln, Emma and Lennox; brother, William (Marja) Tester; and sister, Mary Susan (Alfred) Bruns. He was preceded in death by his parents and a sister, Carol Ann Clark. Visitation for John will be held on Sunday, September 16, 2018 at the Edgar-Grisier Funeral Home in Wauseon, from 2:00 PM until 8:00 PM. The Mass of the Resurrection will be held on Monday, September 17, 2018 at 11:00 AM at St. Caspar Catholic Parish in Wauseon, with Father Stan Tabor as Celebrant. Interment with military rites will follow in the St. Caspar Catholic Cemetery. Those planning a memorial contribution in John’s memory are asked to consider St. Jude Children Research Hospital or Masses for St. Mary’s and St. Caspar’s. Online condolences to the family may be offered at www.grisierfh.com. The Edgar-Grisier Funeral Home in Wauseon has been entrusted with John’s care and arrangements. Be the first to comment on "John Tester (1946-2018)"